Miranda, what a lovely, lovely theme for a list. (I might steal the idea myself. Fair warning here. *grin*) I quite like these mini reviews that give you the gist of what to expect. 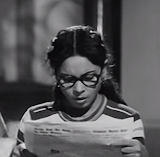 Of your list, I have watched Gumnaam and Jab Jab Phool Khile. 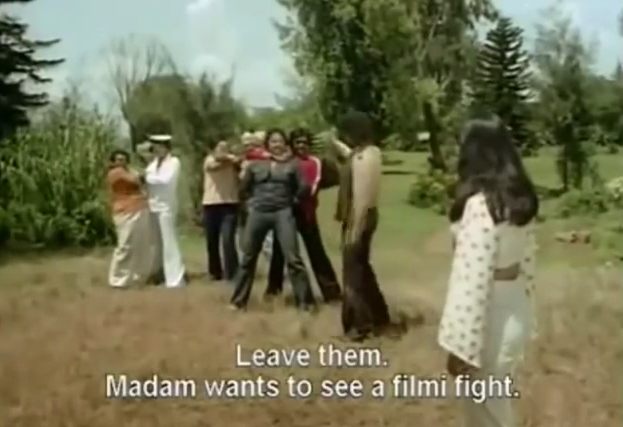 I have wanted to watch Sharaafat because of Hema-Dharam but never quite got to it. Your encapsulations make me want to watch it and Kachche Dhaage, which is another film that inexplicably fell through my viewing cracks. For what it's worth, I fall into the first category where Jab Jab Phool Khile is concerned. I have never yet watched a film that made me so angry! (I love the songs though.) Just thinking about it makes me seethe all over again. I hated its remake as well, though that became as big a hit. Ugh! I can't imagine that you wouldn't like Sharafat, given what I've seen of your tastes. 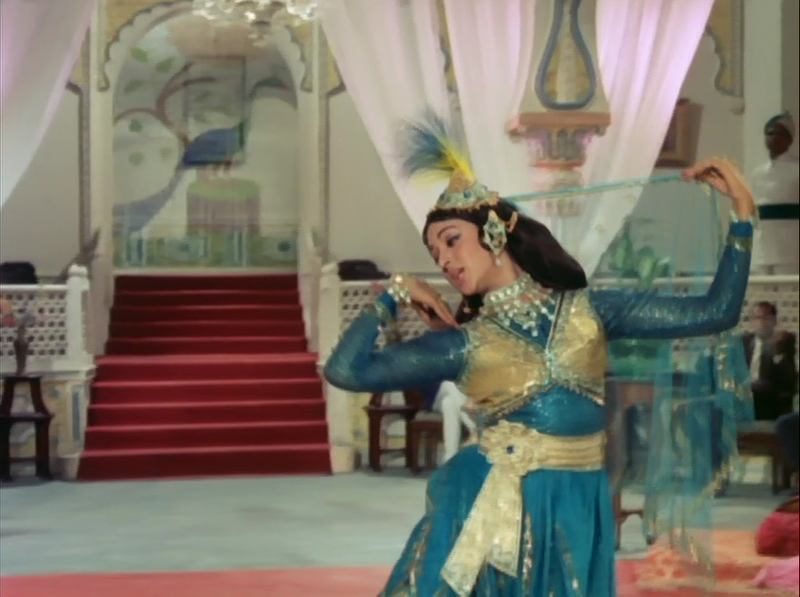 I've gone out of my way to see a lot of the Dharam-Hema classics (if not the comprehensive list) over the last year, and if you were to ask me which onscreen relationship of theirs I liked the most, this would probably be in the top 3. They actually have an intellectual connection here, not just one of chemistry or circumstance. I'm not surprised you didn't like JJPK! It's totally dire, and Raja Hindustani is really no better. And yet, for some reason, I enjoyed both. *Personal values fail* It was so obviously set up as a moral fable, that I could look past the message and just enjoy the illogical histrionics. It's often the subtle patriarchal messages that annoy me more, I think. Also, as you mentioned, the songs/picturizations are beautiful and catchy . . .and probably are the real reason I feel fond of the film. Also, any silent readers take note: Anu has provided the correct transliterations for several films in her comment. Kucche Dhaage is one of the worst transliterations I've seen for a Bollywood film yet, but that's how it's been marketed, so we're stuck with it. Good luck trying to pronounce it with that spelling choice. 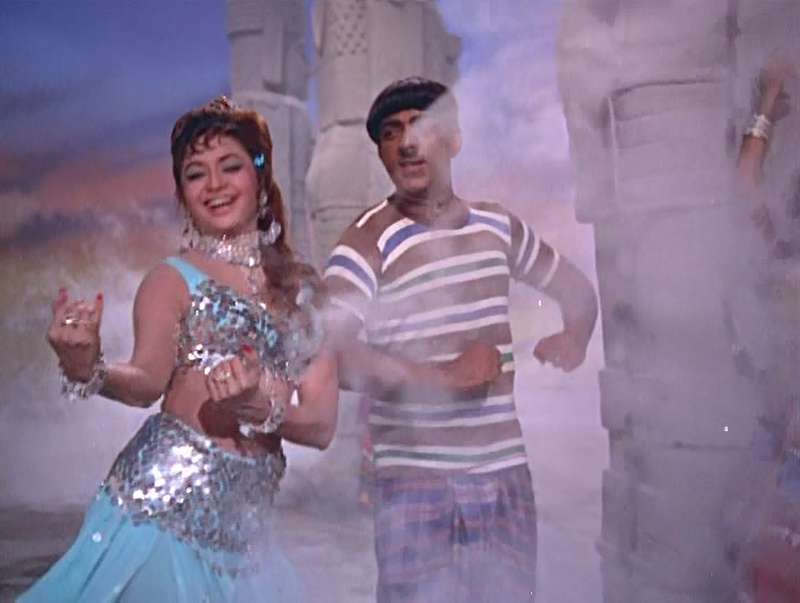 Gumnaam has some awesome moments, but as you mention it also has an excess of Mehmood. But so worth seeing for Helen and Nanda drunking, Pran and Helen just being wonderful, and the soundtrack is pretty good. Oh the "drunking," lol. 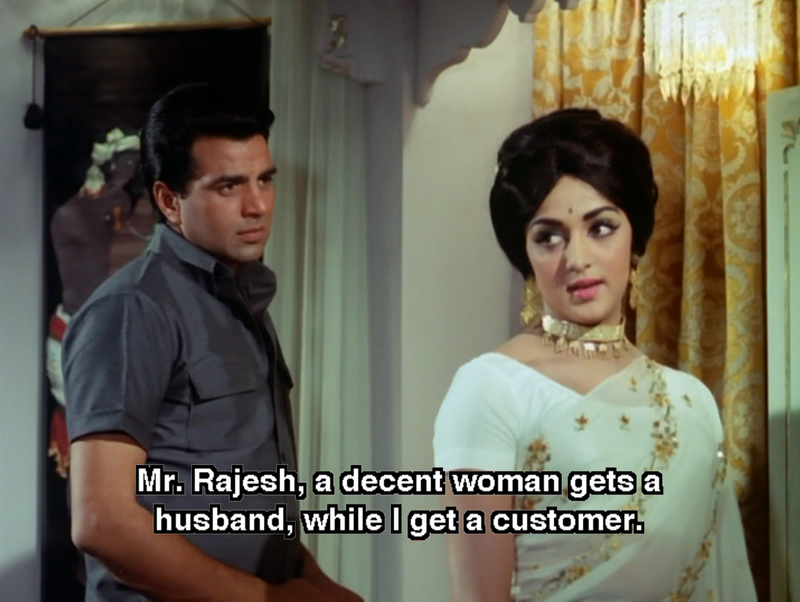 And so much Mehmood. But in comparison to other comedians of the time, I'm relatively fond of him. And I'd much rather it was him than Rajendra Nath's characters, who always need a good slap. 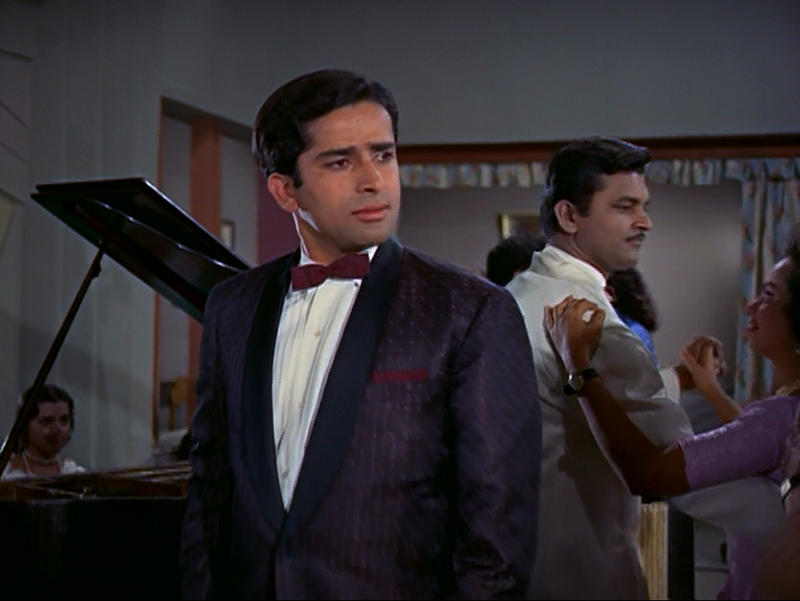 For me, Gumnaam is one of those perfect movies to switch on when you don't want to care too much about the characters, but just want to be consistently entertained. I recognise your new cover screen cap from Itefaq! I saw Kucche Daage after reading memsaab's review. I did not like it despite 2 good looking guys - Kabir Bedi and Vinod Khanna. 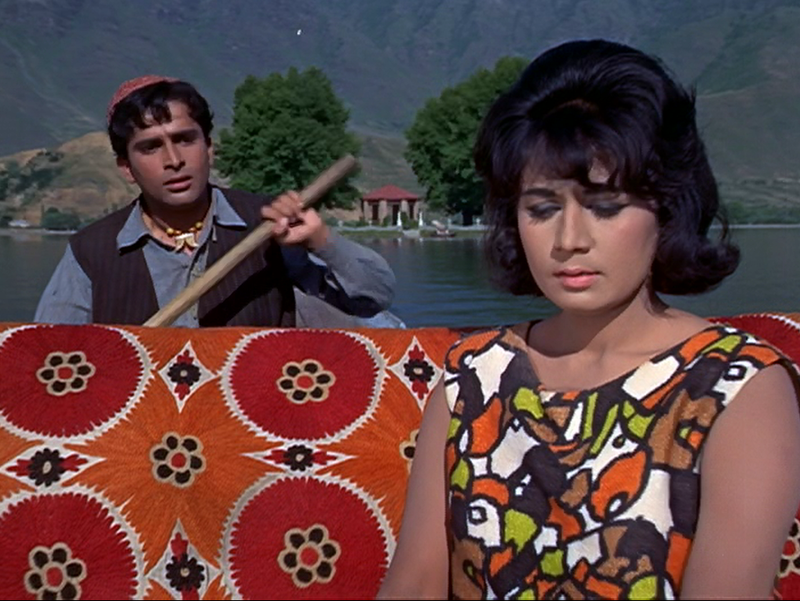 Jab Jab Phool Khile is simply an awful movie - it belongs to my "hate list" too. Yrs ago I went to see this movie in a theatre with my cousin on a re-run (it was quite common for old movies to be released again in theatres and quite a few made money on their second innings too) just for that lovely Lata song - yeh sama sama hai ye pyaar ka - i had heard it before (audio) - had no idea what kind of movie this was other than Nanda as the lead. Imagine my horror. I dragged my cousin out of the theatre after the yeh sama song coz i simply couldn't sit through any more. 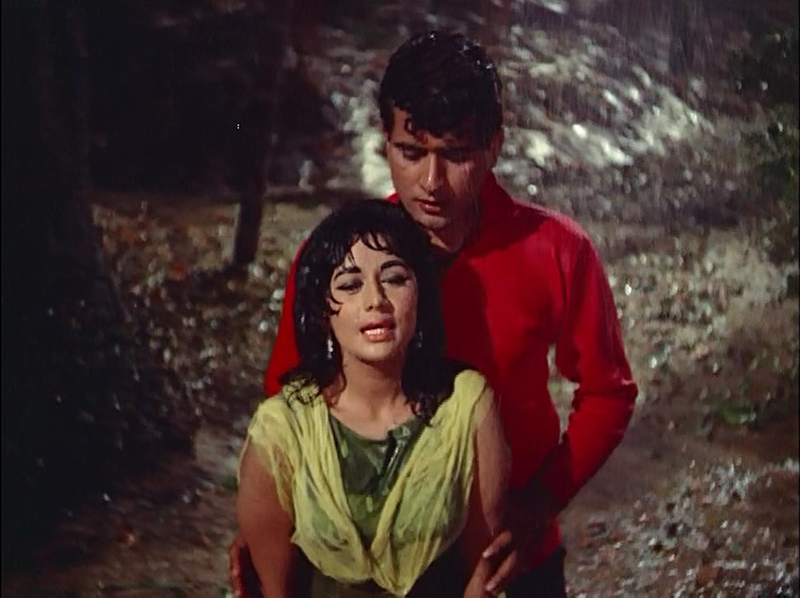 I am told that this was a hit 60s movie for Nanda and Sashi Kapoor - some times you wonder why some films become a hit. Raja Hindustani was also a big hit but I think mainly for its songs. *I thought you would recognize it, Rajesh Khanna film connoisseur that you are! P.S. the combo of the new header photo and the welcome icon span my favorite 15 year period of Hindi cinema. I guess these films turned out to be as controversial as I expected them to be :) I am surprised you didn't like Kucche Dhaage, but I am going to assume it was because nothing happy happens at all? It is very bleak. It's funny that you mention leaving the theatre at the Yeh Samaa song, since that was right where I thought it started to improve, lol. I don't know if it's because I am a consummate contrarian, but perhaps because I had been warned away from JJPK so much, and because I wasn't expecting anything except some pretty visuals, I came away a bit wooed. Don't get me wrong, I hate the plot as written, but I kind of like the story as a series of emotional vignettes. Especially the handling of the recurring theme of being smitten with an outsider. Raja Hindustani is even more full of WTFery (I wrote it up as a horror movie-lite), so much so, that I didn't take it seriously and just enjoyed the ride. I found Kacche Dhagey weak in story line and script. 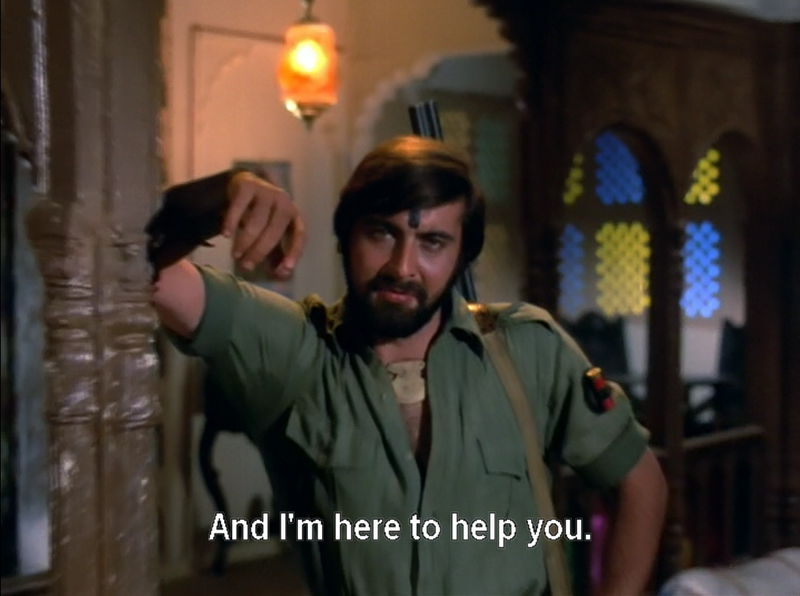 Kabir Bedi is a good looking guy but some how he seemed to be ill at ease in hindi films. He was so dumb in the movie - couldn't act for nuts - in my view anyway. Vinod Khanna is one of my fav actors. I tolerated the movie for these 2. 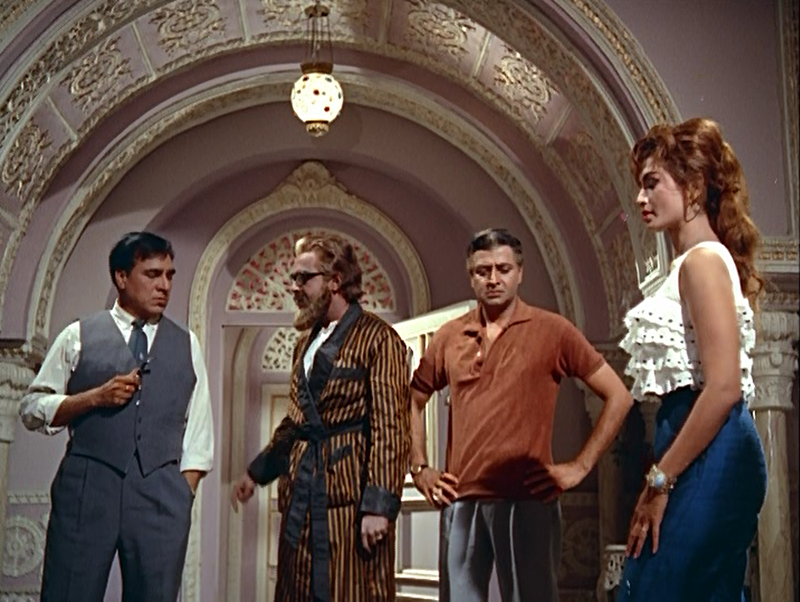 Raj Khosla is actually a very good director and I have liked most of his films but I think this is one of the weakest movies in his kitty - i think it was Raj Khosla who directed this - am i right? Tis Raj Khosla all right. I understand how it could seem weak, scriptwise. 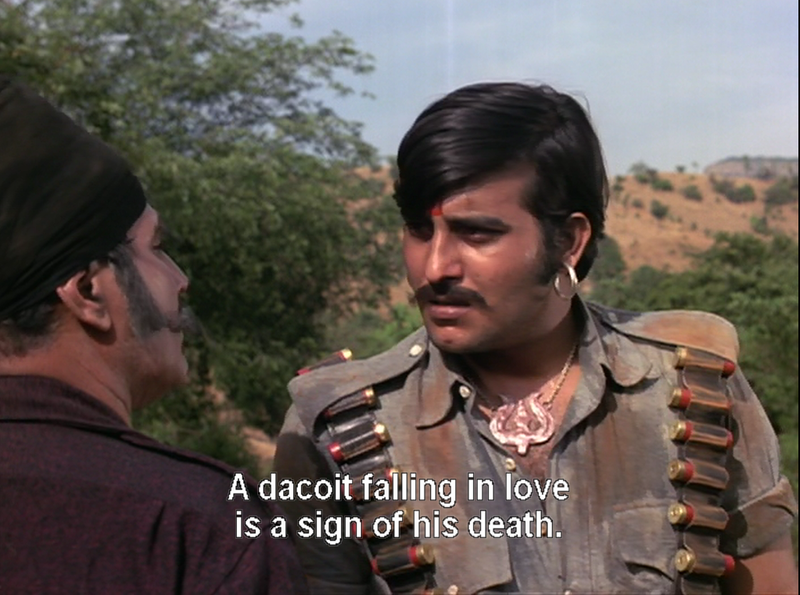 To me, Kachche Dhaage emulates a lot of western tropes. It was slow in the way westerns are slow. And I have a soft spot for the genre (I've watched quite a bit over the years and taken quite a few vacations to the American west), so maybe that gave me more patience than I should have had.